Southern Beauty! 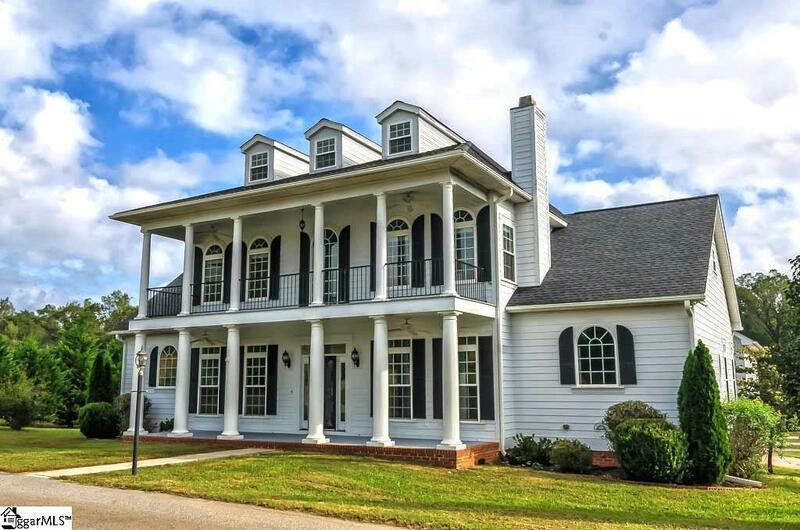 The Alder House Plantation stands majestically SURROUNDED BY 5 ACRES of grounds and just minutes from Historic Fountain Inn and Simpsonville! The unique property is remarkable for its ABSOLUTE TRANQUILITY and an exceptional impression of spaciousness. The almost 5-acre plot includes a FENCED-IN PASTURE, lush green lawns, and all surrounded by a breathtaking forest. The Manor house offers 5000 SQ FT OF LIVING SPACE. 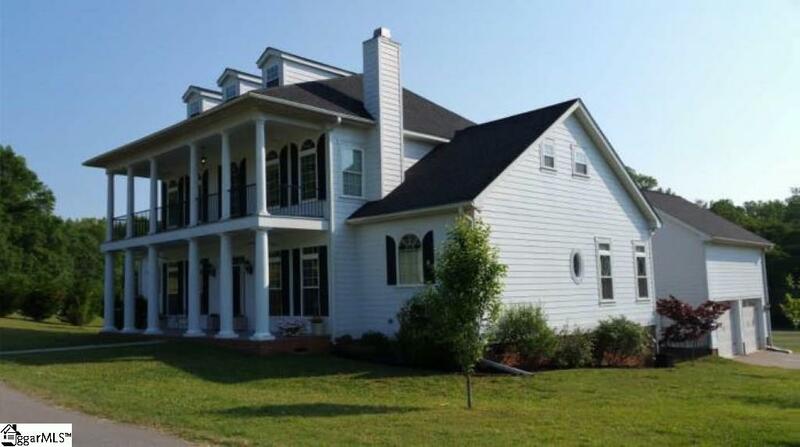 This property with its exceptional view of the country side will thrill anyone in search of peace and wide open spaces, all JUST 12 MINUTES FROM SHOPPING IN SIMPSONVILLE. 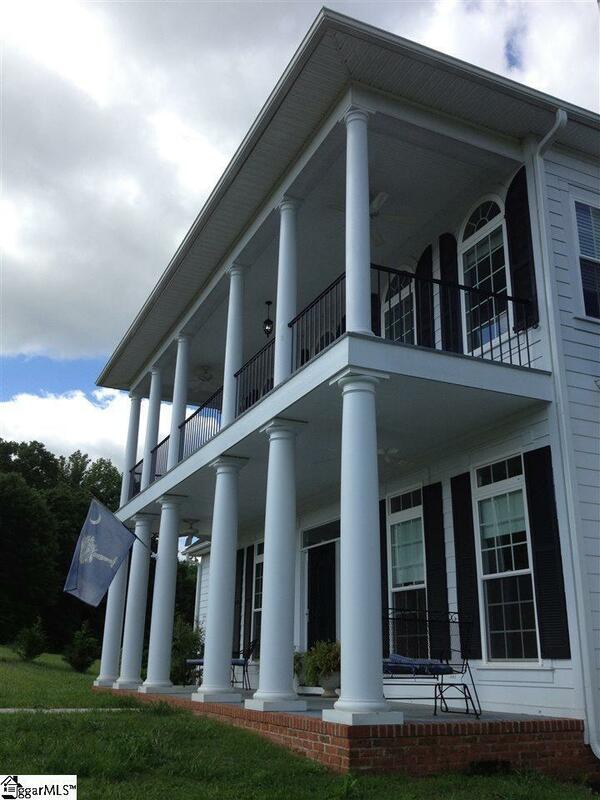 Graced with SOARING COLUMNS and a SECOND STORY BALCONY, the WIDE SOUTHERN PORCH offers the perfect place for relaxation in high backed rockers or a porch swing. Upon entering the home, there is a soaring OPEN FOYER with a CURVED STAIRCASE with HANDMADE RAILING. You will find a cozy library with built-in shelving and a wood-burning fireplace to the right and to the left is the dining room. As you move through the house you will find a small media room pass the library and a large family room with another fireplace. With tall ceilings, the entire home is laced with ORNATE MOLDINGS, MAPLE FLOORS AND 24 % LEAD CRYSTAL DOORKNOBS. The dream kitchen has a butler's pantry, a large WALK-IN FOOD PANTRY and lots of QUARTZ COUNTER space, beautiful CUSTOM CABINETS, double ovens and double dishwashers, plus a charming large breakfast area in front of a beautiful fireplace. The Master Bedroom is also on the main level with a curved archway that leads into the spectacular Master Bath. The MASTER BATH IS FLOORED WITH HEATED TRAVERTINE TILES and boasts a gorgeous claw foot tub as the show piece of the bathroom. There is a CHARLESTON INSPIRED COURTYARD just outside the Master Bedroom with a personal entrance. 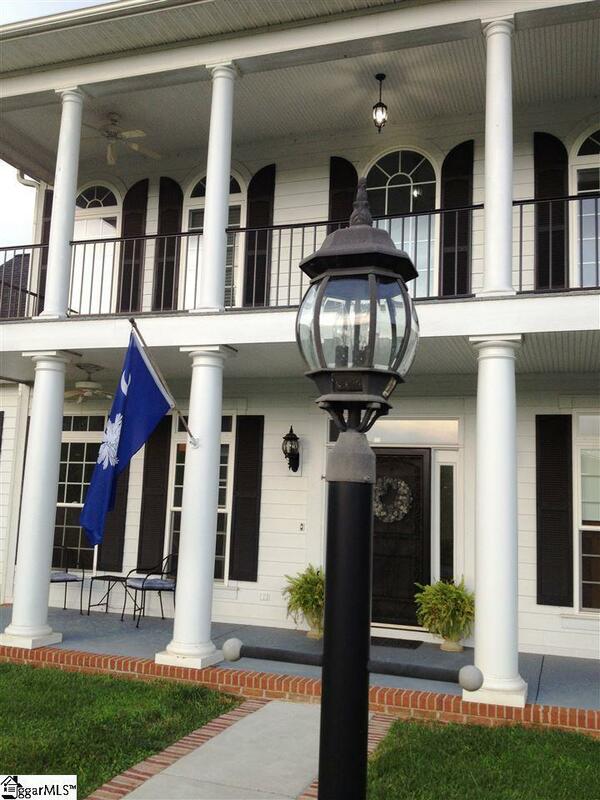 Upstairs this grand southern home boasts four bright and spacious bedrooms with two full baths. Accessed from the common area of center hall each bedroom is unique and they are sure to please and be inviting to you and your guest. The two front bedrooms have casement windows that crank open to give you access to grand second floor porch. There is a full set of stairs that lead you up to the third floor bedroom and attic storage. The view from this room is unimaginable as you look out of over the expansive countryside. Above the OVERSIZE GARAGE, you will find a PRIVATE SUITE that can be used as an OFFICE OR AN IN-LAW ROOM. When you come down the 600 ft paved DRIVEWAY LINED BY TREES and first come upon The Alder House Plantation, you will feel you have stepped back in time to the grander times and space. The Alder House Plantation has been used as a wedding venue on many occasions and has been called over and over again, another "Tara" from Gone with Wind movie. It was architect-designed to include all the beauty and grander of a historic plantation home but yet contain all of the luxury features to make life more comfortable.